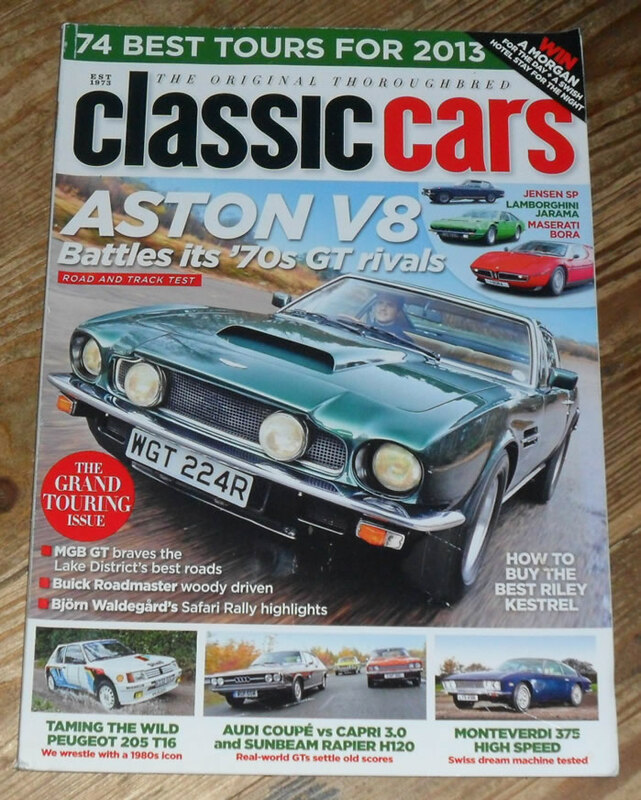 February 2013 of the British Magazine, Classic Cars. The cover feature of this issue is the Aston Martin V8. Other articles include items on the Monteverdi 375, Masreati Bora, Lamborghini Jarama, Jensen SP, Audi Coupe, Ford Capri 3.0, Sunbeam Rapier H120, Peugeot T16 and many more.